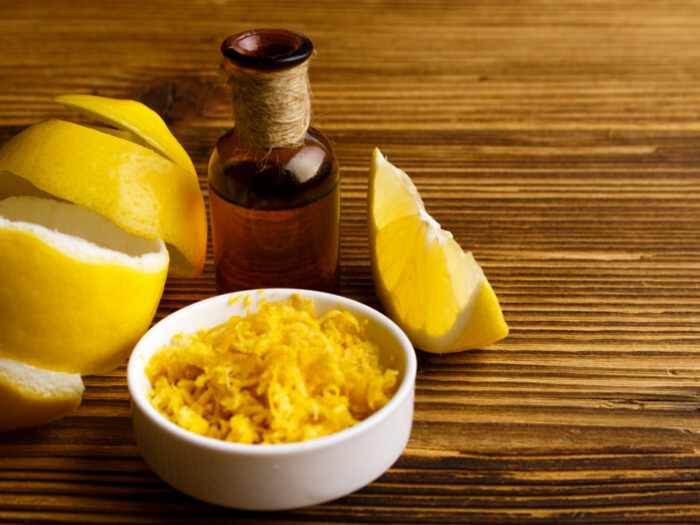 With ample uses and loads of health benefits, lemon oil is a must-have oil in your pantry. You can eat it as well as apply it. This multi-purpose oil is equally beneficial for skin health, hair health, and weight loss. 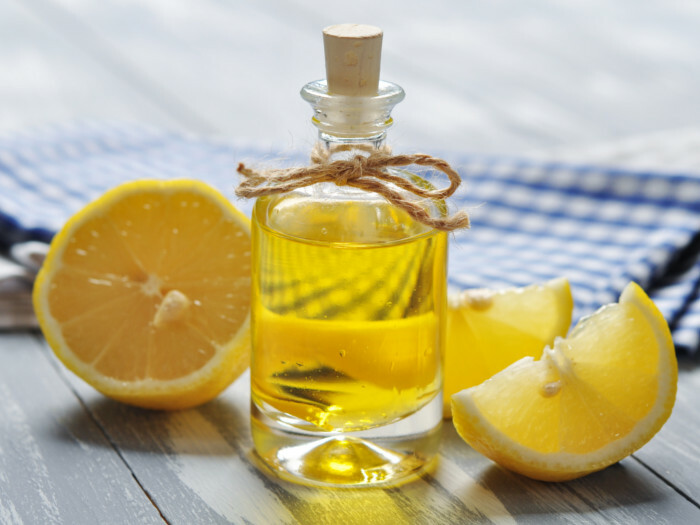 If you can’t find lemon oil in your nearby grocery mart, why not make it at home? 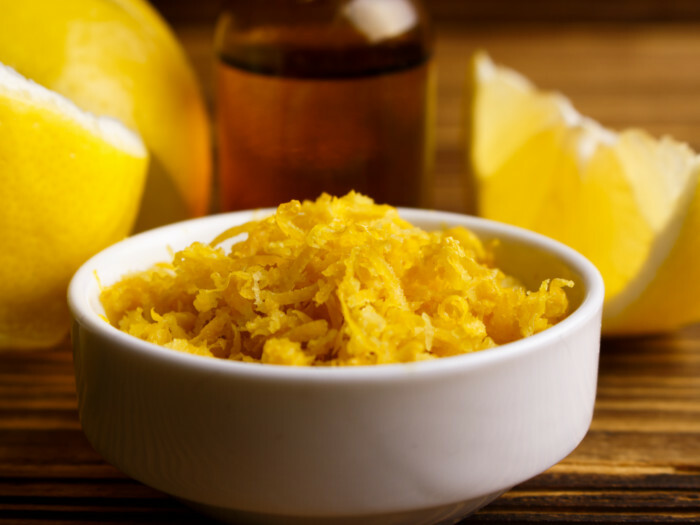 There are two ways to prepare lemon oil, the cold method that takes weeks, and the hot method that is prepared in minutes. Take your pick and get started! An easy way to prepare the multi-purpose oil at home! 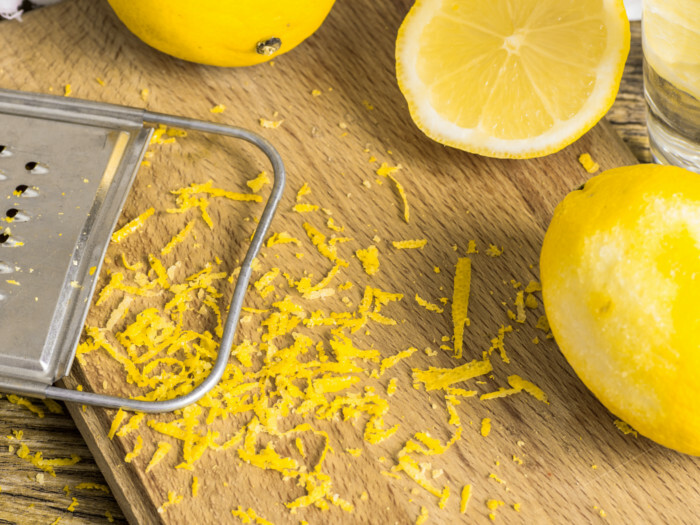 Wash the lemons thoroughly under running water and leave them for 2 hours to dry completely. Peel the skin of the lemons and keep the fruit pulp separate. You may keep the pulp to make lemon juice, lemon tart, or any other lemon recipe later. Make sure that the peel you've removed does not contain fruit pulp or the bitter white pith attached to it. Lemon oil can only be prepared with the lemon peel. 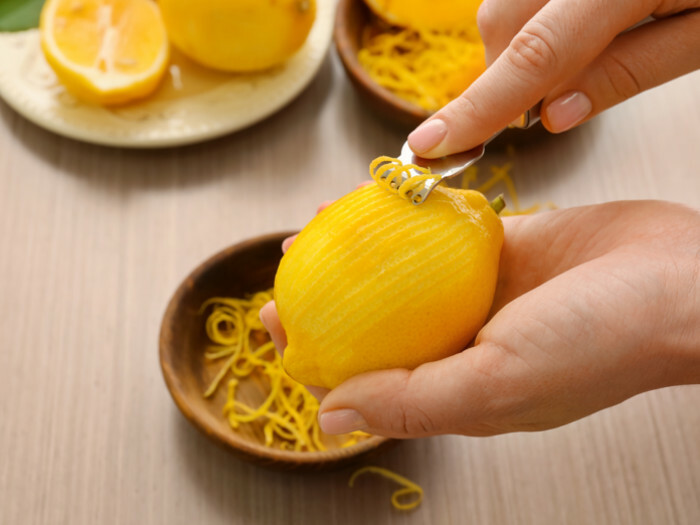 Grate the lemon peel in a bowl or any other container. This will provide a better surface area. You may skip this step if you feel you have peeled it fine enough. Put the peel into a glass jar container, having an air-tight lid. To avoid any chemical reactions, the glass jar is the most preferred. Put the extra virgin olive oil in the jar, stir well, and close the lid. Place the jar in a dry place for 1-2 weeks. Keep shaking the jar at least once every day. Strain the oil into another glass jar using a strainer. Store it in a dark place away from sunlight. Wash the lemons and pat them dry using a paper towel. Leave it for another half an hour to dry completely. Peel each lemon, make sure not to remove the bitter white pith along with the zest. Put the lemon in a small pot and pour the coconut oil over it. Heat the oil and bring it to simmer for 5 mins, then allow it to cool. Strain the oil into an airtight glass jar and store it in a dark room or the refrigerator. 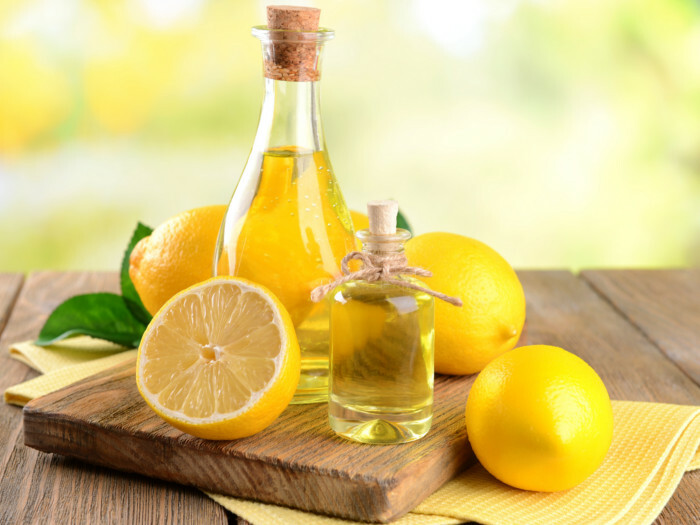 Lemon oil prepared from either way can be stored for about one month. Feel free to use any other oil if you wish, but the mentioned oils for both processes work the best in the given scenarios. Average rating 3.8 out of 5.0 based on 6 user(s).